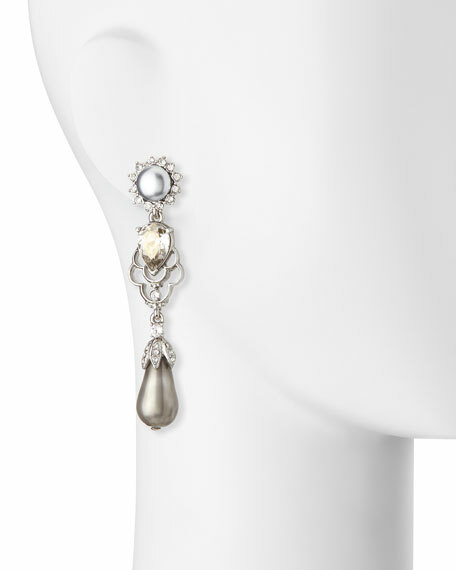 Earrings by Oscar de la Renta. Faceted and pearly glass crystals. For in-store inquiries, use sku #1834033.